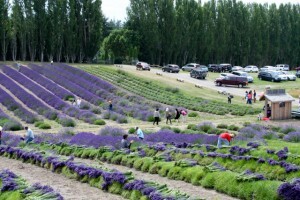 The Sequim Lavender Festival® is “Motorcoach Friendly.” For scheduling group tours and other information, email us. In 2018, the Sequim Lavender Festival® is held at Carrie Blake Park in Sequim with Free Parking on Blake avenue as you enter from Washington Street. Many of our FREE farms can handle large buses. Please check with them for availability. Get to the Olympic Peninsula either by the Edmonds ferry which goes to Kingston, the downtown ferry which goes to Winslow, Bainbridge Island or cross the Tacoma Narrows Bridge (head towards Bremerton). Follow the signs to the Hood Canal Bridge, cross the bridge and you’ll be on Route 104. This ends at Route 101. Follow the signs to Port Angeles and before you get there you will see signage for the festival in Sequim. Clallam County’s public transportation district has launched an online trip planner through the Internet giant’s Google Maps service to help passengers navigate bus routes and make transfers into other counties. For more information visit Clallam Transit. Using GPS to get here? 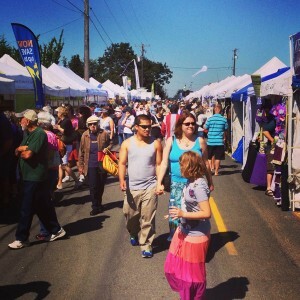 Sequim Lavender Festival® Street Fair address is 202 N Blake Ave, Sequim, WA 98382, in beautiful Carrie Blake Park! BLACK BALL FERRY LINE – M.V. COHO The M.V. Coho provides a classic ship experience, linking Victoria, British Columbia and Port Angeles, Washington. This vehicle and passenger ferry provides year round daily service. Come and enjoy this scenic passage as part of your next trip. Our captain and crew look forward to welcoming you on board the ship! Black Ball Ferry Line recommends making reservations online at their website or you can contact them at. Port Angeles, Washington, USA Tel: (360) 457-4491 or Victoria, British Columbia, Canada Tel: (250) 386-2202 for information on schedules or rate.